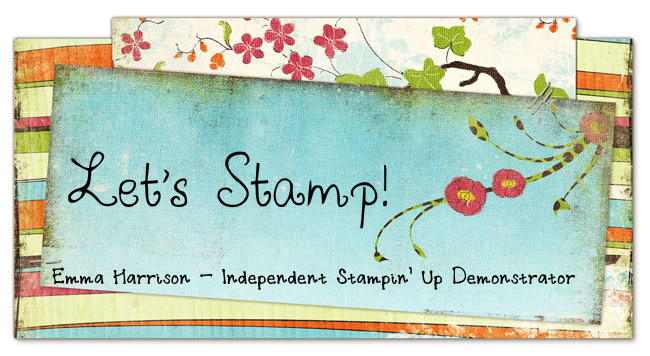 In 2010 Stampin' Up! completely overhauled the colour collections with the idea being that they would revist the colour collections every three years. Well that time has come again! We are having a colour refresh! We will be saying goodbye to some old favourites - I will be particularly sad to say goodbye to Baja Breeze but we'll also be saying Hello to some new favourites. I am thrilled that Pool Party will now become a permanant colour rather than an outgoing in-colour. So enough with the chatter and on to the revitilised colour families! You will notice that some of the colours have moved families. Perfect Plum and Rose Red were both in the Subtles family but will be moving to the Regals family come 1st July (when the 2013-2014 IB&C comes out). 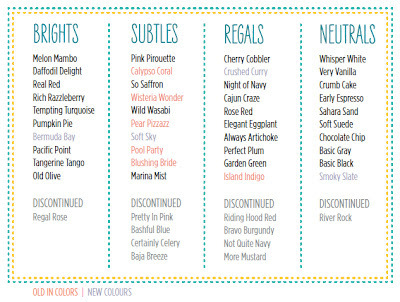 Now on to the important bit - the discontinued colours will only be available whilst stock lasts. That includes ribbons, ink pads, individual pens and paper, so if you are going to be missing a favourite now is the time to stock up. Don't forget that the Spring/Summer mini catalogue is still available to order from as well. I cannot share any sneak-peaks of the four new colours yet but be sure to pop back in June (and before!) when I will be sharing some cards using the new colours. In the meantime, if you would like to place an order then just get in touch and I will be happy to assist you.